The path which starts in the heart leads to new horizons. When choosing the Master of Social Science in Cultural Sociology you obtain a thorough theoretical and empirical insight into how societal development and social transformation processes are influenced by various socio-cultural factors. The focus of this profile is on classical themes within the cultural sociology fields of research. During the master programme you will explore how social transformation processes are shaped by elements of society such as the perception of the body, health, gender issues, family relations, nature understanding, identity building time and space, cultures and countercultures. You should choose this master programme if you have an interest in the relations between society and people and in the cultural encounters that emerge every time people meet across age, professions, nationality, gender, health and religion. 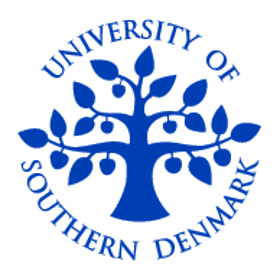 The Master of Social Sciences in Cultural Sociology builds on the bachelor programme in Sociology and Cultural Analysis offered at the University of Southern Denmark in Esbjerg. Access to the master programme in Cultural Sociology is granted to those who hold a bachelor degree in one of the Social Sciences or Human Sciences.